If you’re on the hunt for a Honda that offers the latest features at a lower price, browse the Certified Pre-Owned Honda selection at Legends Honda. Not only do the CPO Honda cars, SUVs, minivans and trucks for sale at our Honda dealership near Lansing, KS, offer drivers a more affordable option, but they also come with exclusive warranty plans and ownership perks. And because every used Honda must pass a rigorous 182-point inspection before gaining Certified Pre-Owned status, you can rest assured that your CPO Honda car is up to our high standards. Check out the Certified Pre-Owned Honda inventory at Legends Honda knowing that all of our Honda Certified models were manufactured within the last six years. Our CPO Honda models have been put through our all-inclusive multi-point vehicle inspection, too, in which our expert Honda service technicians examine everything from the steering and suspension components to the brakes. Enjoy a complimentary three-month trial of SiriusXM®1 Radio and take rides around Kansas City knowing that your Honda is backed by incredible warranty plans. Certified Pre-Owned Honda vehicles offer Kansas drivers unmatched protection but should you want to supplement your coverage, you can be certain that Honda Care® has your back. What is Honda Care®? Honda Care® coverage includes 24-hour roadside assistance for towing,6 tire changes, lockout assistance and more! It gives you protection for everything from heating and cooling problems to drivetrain difficulties, in addition to concierge emergency services that are exclusive for Honda drivers only. 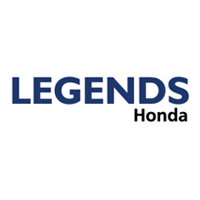 With a bevy of flexible Honda financing options and a variety of Certified Pre-Owned Honda cars for sale, we encourage you to contact Legends Honda. Meet with our team today to see why you should buy a CPO Honda! 1 SiriusXM services require a subscription after any trial period. If you decide to continue your SiriusXM service at the end of your trial subscription, the plan you choose will automatically renew and bill at then-current rates until you call SiriusXM at 1-866-635-2349 to cancel. See our Customer Agreement for complete terms at www.siriusxm.com. Fees and programming subject to change. XM satellite service is available only to those at least 18 years and older in the 48 contiguous United States and D.C. ©2017 SiriusXM Radio Inc. Sirius, XM and all related marks and logos are trademarks of SiriusXM Radio Inc.
2 7-year/100,000 total odometer mile limited warranty from the original in-service date. See dealer for limited warranty details. 3 From original in-service date. 4 Starting from date of Certified Pre-Owned Vehicle delivery to the buyer. 5 Based on odometer miles.